Teen Amateur Of The Week: Czech Yourself! Kamil envied the strong kids and asked for information and guidance. Now he dominates American football and throws up heavy iron! 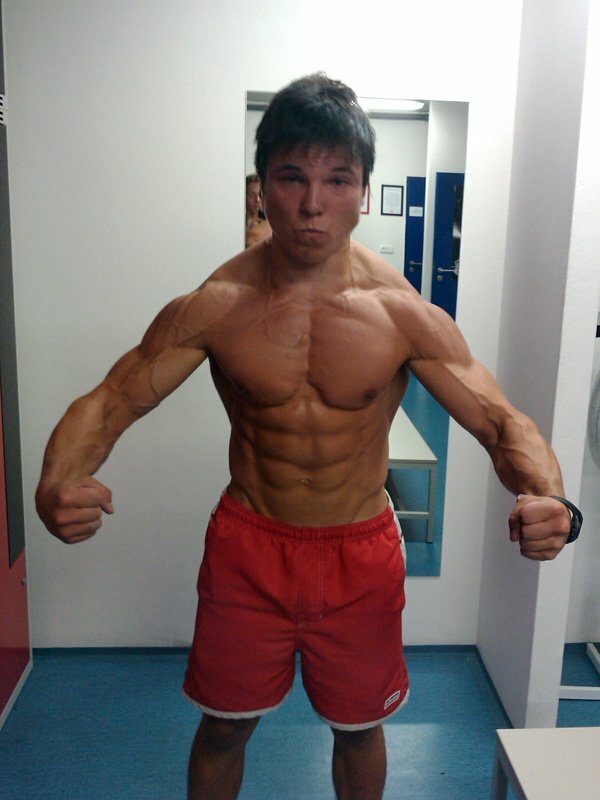 I started bodybuilding at age 17. It all started in high school when I realized I was much weaker than my classmates. At that point, I was "skinny-fat." A friend of mine was an experienced lifter, so I asked him if he would help me and he was supportive. He invited me to the gym and I was hooked. My strength grew quickly and I saw my body change fast. I started reading about bodybuilding on the Internet and started improving my diet. 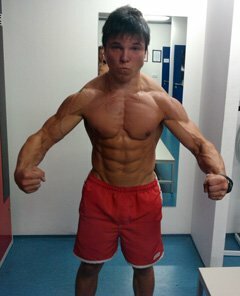 Bodybuilding.com was a big help for me. It improved my training and diet tenfold. I saw the biggest gains when I started doing compound movements like deadlifts and squats. By that time, I also bought my first supplement, whey protein, and saw big changes from drinking it because I didn't eat enough protein from whole meals. After a year of lifting, I started playing American football. It was great for me because it provided tons of motivation to lift more. It really projected on the field. I was getting bigger and stronger. Last season, we won the Czech Junior Bowl, which gave me more motivation to work hard. This summer, I cut down from 200 to 180 pounds. It was great experience for me to do a cutting diet for five weeks. I was happy with the results. Now I'm starting to bulk again to get ready for season and to improve for next year. I benefit the most from high volume training. I use heavy weights and go mostly by feel. My driving motivation is seeing better results. They usually come slowly, but they always come. The bodybuilding lifestyle keeps me happy and positive. It changed me. I used to be weak and skinny-fat. It's awesome. I also had back problems, which I fixed with bodybuilding. In high school, we did PE in the gym. When I saw others lift much more than me, I felt ashamed. That was probably my main impulse to go to gym. I knew a kid who worked out for a few years and asked him if he'd help me start. He was helpful and I learned a lot from him. That's when I became addicted to working out. I ask my friends to work out with me, make an awesome playlist on my mp3 player, or watch motivational videos. It's easy for me to get motivated because I love working out. It's a great feeling. When I'm tired and lazy I go to gym. I can easily change my training for the week to make it more suitable for my body. When it feels like my arms are sore, I just do legs and catch up with my plan later. I want to bulk up to about 210 pounds, cut down again next year, and do a lot of football-related training throughout the year. Most of all, I want to keep bodybuilding for my entire life. I admire old people who still work out hard. They train harder than most teens. Stick to the basics. There's no need to make everything rocket science. Concentrate on basic nutrition and training rules. If you see results, just stick to it. I like Mike O'Hearn's approach to bodybuilding. Even though he's a fitness model, he lifts heavy. I tried his power bodybuilding program and got great results. He's great motivation for me. I was looking for exercises on the internet when I found Bodybuilding.com. It had every single exercise filmed on video and helped me improve my training and stretching. I even found a great program for football training. The Forum on Bodybuilding.com is great for sharing info with others. Recently, I found BodySpace and I'm trying to keep track of my progress and goals.